Corsair AXi Digital ATX PSU: complete digital control. 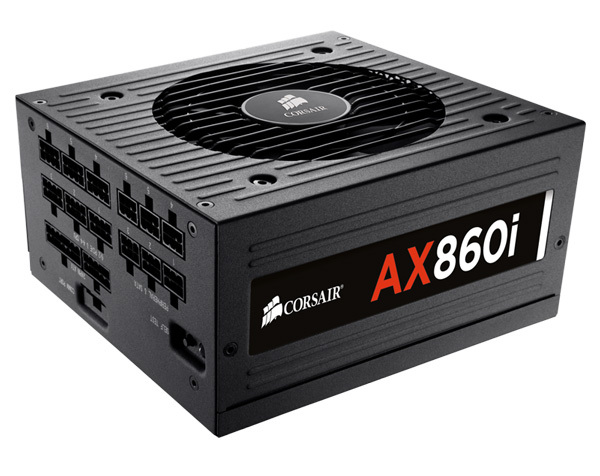 The revolutionary AXi Series PSUs are the first desktop PC power supplies to use digital (DSP) control and Corsair Link to bring you an unprecedented level of monitoring and performance customization. The DSP in the AX860i makes on-the-fly adjustments for incredibly tight voltage regulation, 80 PLUS Platinum Efficiency, and clean, stable power. Backed by a 10 year Corsair warranty.